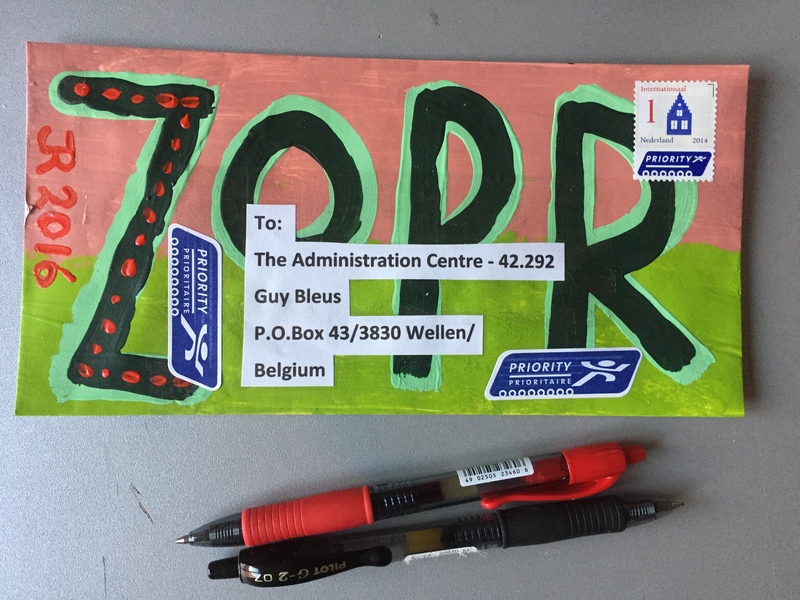 Outgoing Mail-Art November 23rd 2016 by Ruud Janssen – iuoma.org – Interested in Mail-Art? 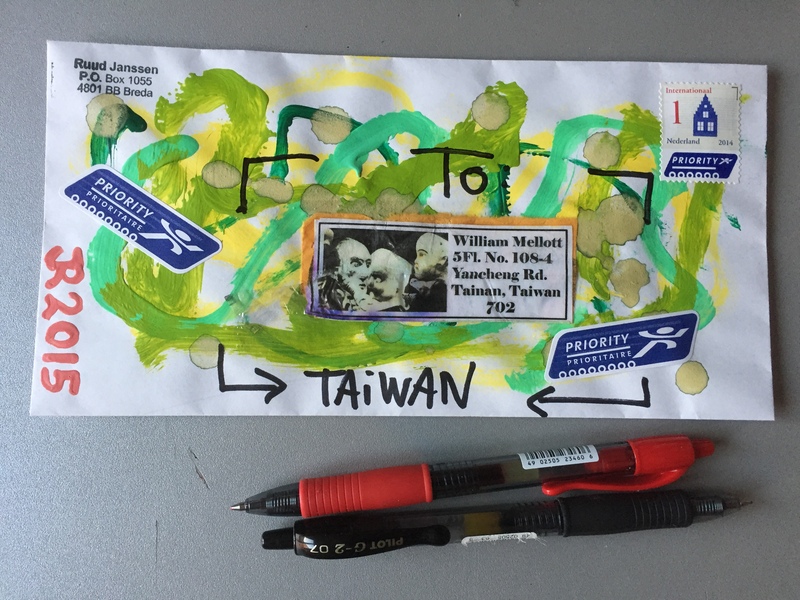 Outgoing Mail-Art.Three envelopes to Guy Bleus (Belgium), William Mellott (Taiwan) and Toni Hamer (USA). 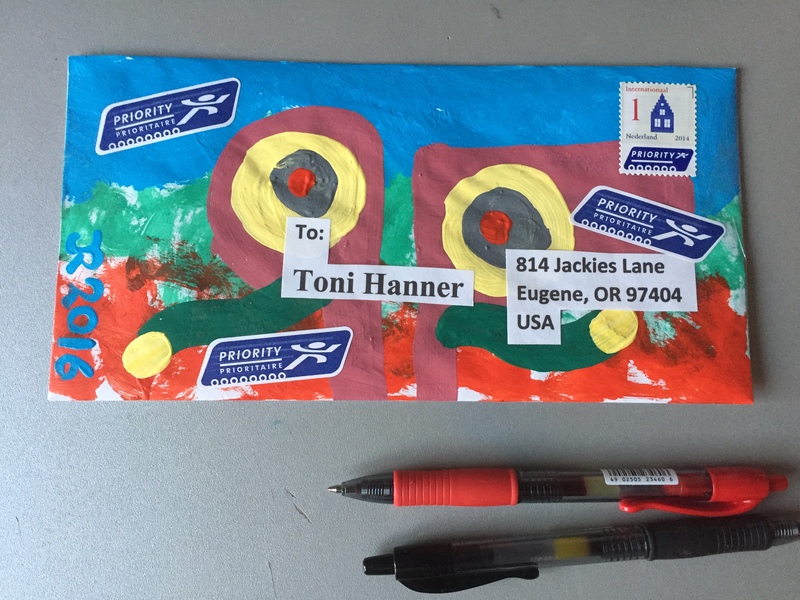 All three envelope with an Acrylic Paint basis and further addings. Hope they arrive safely….